Under the legislation, members of the ANC could travel to the United Nations headquarters in New York but not to Washington DC or other parts of the United States. US Secretary of State Condoleezza Rice had called the restrictions a "rather embarrassing matter that I still have to waive in my own counterpart, the foreign minister of South Africa, not to mention the great leader Nelson Mandela." South Africa's apartheid government banned the ANC in 1960, imprisoning or forcing into exile its leaders. 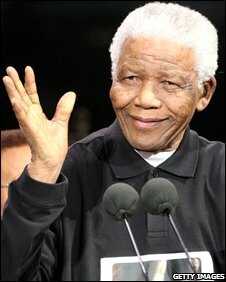 Mr Mandela, who turns 90 this month, was released in 1990 after spending 27 years in prison. He then became the country's first post-apartheid-era president, before retiring after serving one term in office.